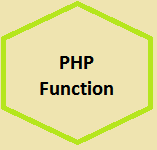 PHP Function is a powerful element in php programming. PHP Function provides a lot of facilities.Due to the PHP function a big problem seems to very easy to understand. About 700 built- in function are available in PHP. Dear learner here you can learn php function,how to declare & how to call(call by reference & call by value) from any where of your page/php code. we can use php function with argument/parameter which is also known as call by reference and call by value.